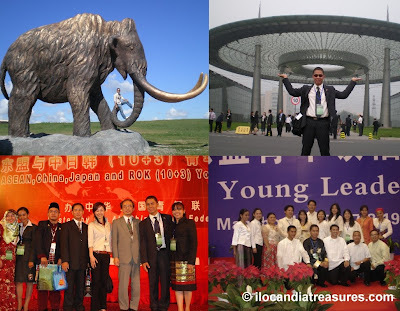 It is exactly two years now when I represented the Philippines in the ASEAN Young Leaders Meeting in China, the most populous country in the world. We were composed of 17 Filipino delegates from the different fields and disciplines. It was a 10-day program hosted and sponsored by the All-China Youth Federation and the Chinese government. We joined our counterparts from the 10 ASEAN countries and China and had a chance encounter with Korean and Japanese young leaders during the ASEAN +3 Gala Night where I met some of my old friends. We had our first stop at Beijing, the capital. We were billeted at Tiantan Hotel. After our lunch we went strolling, passing by the China Sports Science Institute and took photos at the Olympic Park. We shopped at HongQiao Market and one can bargain prices to the lowest level. The minimum bus fare was so cheap and its only one yuan. The city has concentric “ring roads” which were actually rectangular that go around the metropolis. The city is known for its flatness and regular construction. 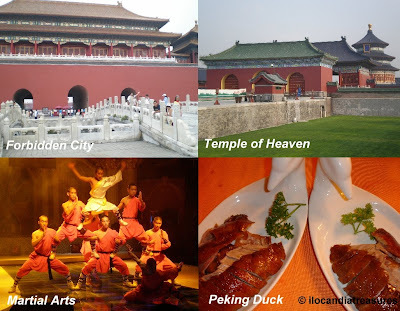 On the following day, we all went to the Forbidden City where we saw the Palace Museum during the Ming and Qing dynasties. We saw the famous monument Tian’anmen or Gate of Heavenly Peace or referred to as the front entrance to the Forbidden City. After getting to all corners of the monument, we went to HouHai Lake. Just outside the lake, we saw the HuTong, a Chinese traditional housing. Most of the people here survived against the influence of modernism. Then we rode the rickshaw to go around the lake. Several cafes can be found here such as Starbucks. It’s a place to hang and chill out especially at night time. There were also small boats on the lake where you can have dinner. Then we went to WangFujing for some soya drink. We visited the Ministry of Finance on the next day where we had lectures and dialogue with some of the high ranking officials. We visited an institution called Zhongguancun Science Park. Then we had a gala night dinner at Grand Hotel Beijing. We met up with Pamela’s Chinese friends and hosted us another dinner of Peking Duck and seafoods. It was so good. It was a surprise when the entire delegation was flown from Beijing to Manzhouli City in the Inner Mongolia region of China for the program proper. We were surprised to see beautiful sights. Manzhouli did not ring a bell to us but we were awed by its marvelous sceneries. When we got back to Beijing, we paid a courtesy call to Ambassador Sonia Brady at the Philippine Embassy. As a finale, we were taken to visit the Great Wall of China, one of the Seven Wonders of the World. It’s amazing to see this sight. We also went to the Temple of Heaven and made some last minute shopping. This was a very cool experience of China. Hope to be back here soon.